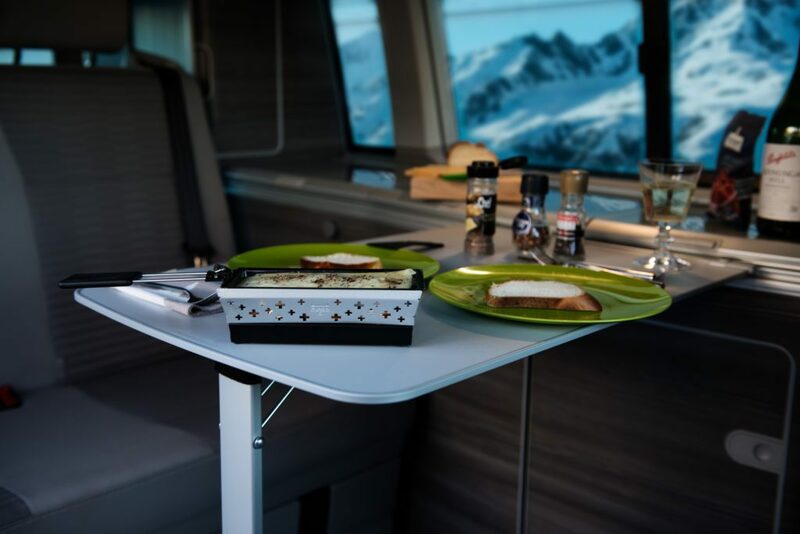 The best views of spectacular alpine vistas are discovered while camping in the winter. Our campers are well equipped to make winter camping fun and easy. The auxiliary heater ensures that the camper is a warm retreat from the cold. Many campsites are specially designed to meet the needs of winter camping. Feel the snow crunch under each footstep and discover why winter camping is attracting more and more enthusiastic fans. There are five TCS campsites that are open in winter: Sion, Scuol, Samedan, Solothurn, and Lugano-Muzzano. Typically campsites open year-round are prepared to meet the needs of cold-weather camping offering warming rooms with WLAN, drying rooms for wet clothing, often an indoor swimming pool, sauna, and spa. Additionally a variety of activities are offered such as hiking, snowshoeing, ice skating, cross-country skiing, and downhill skiing.